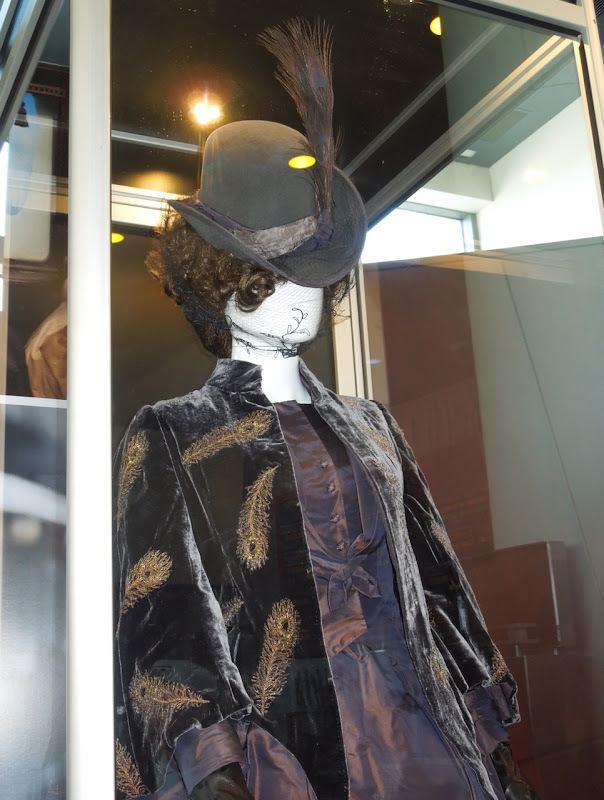 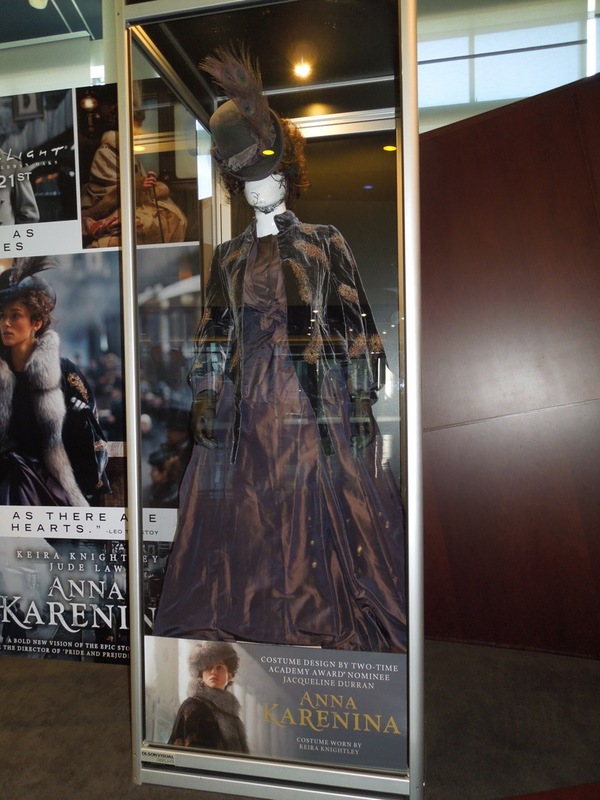 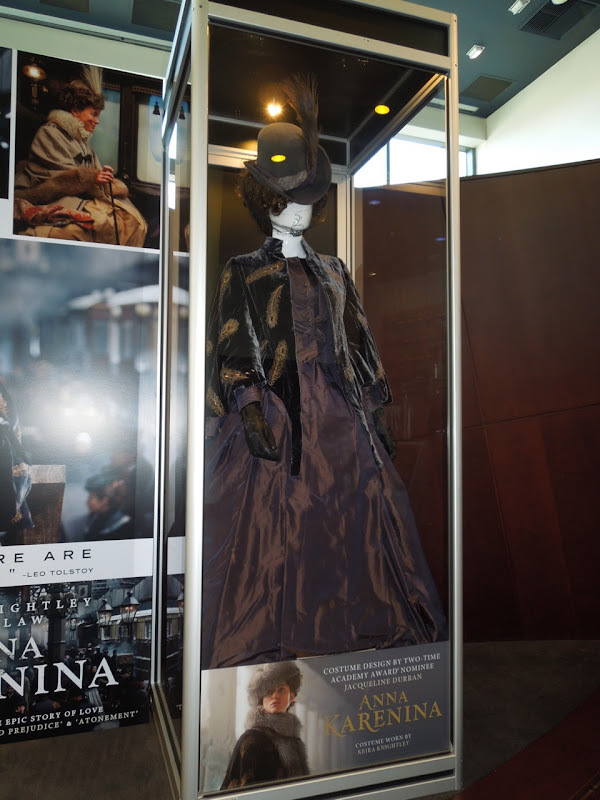 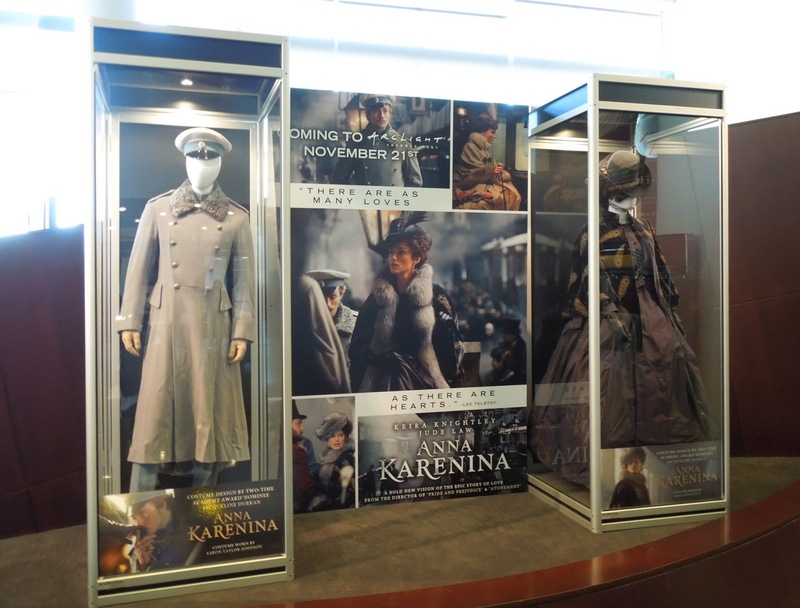 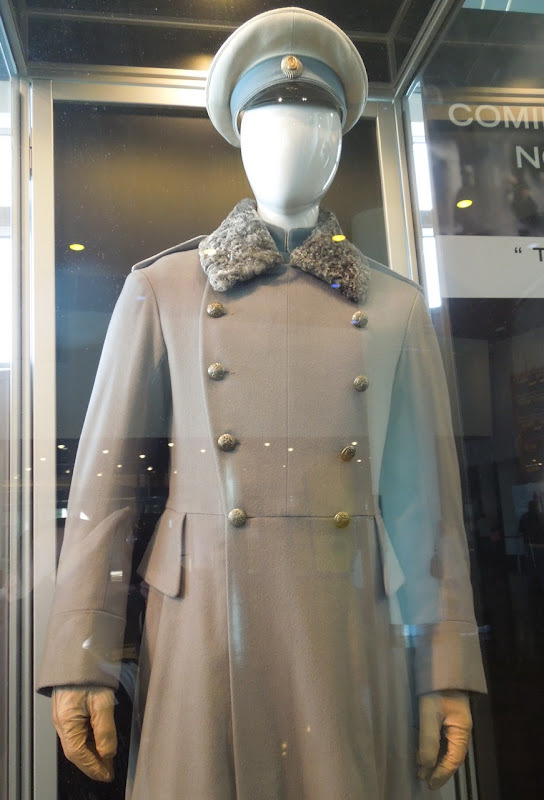 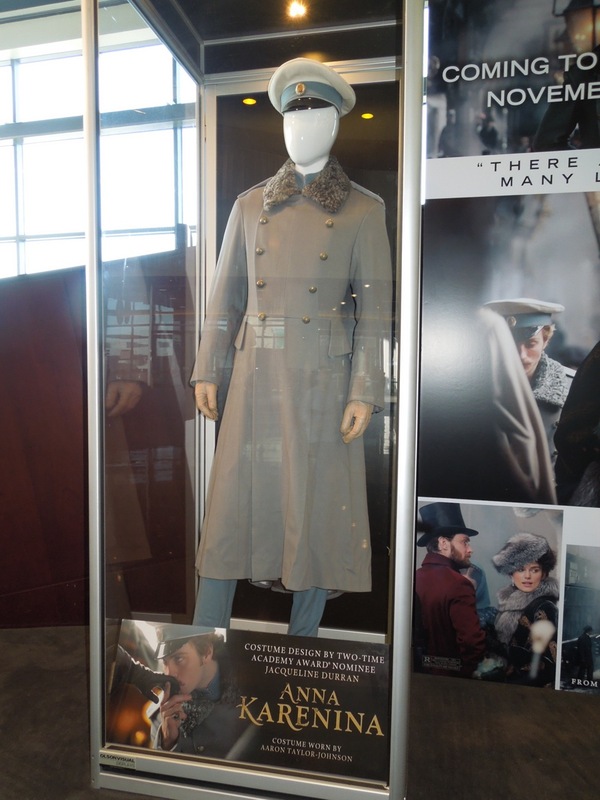 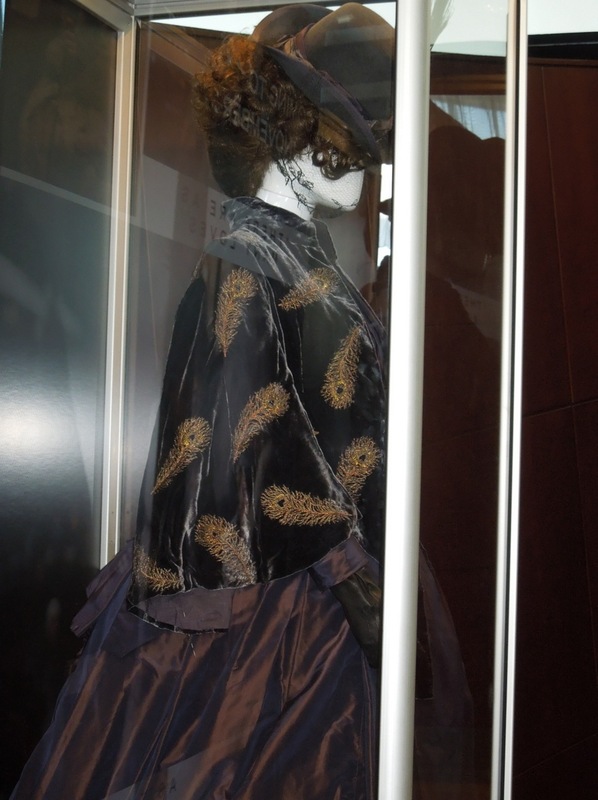 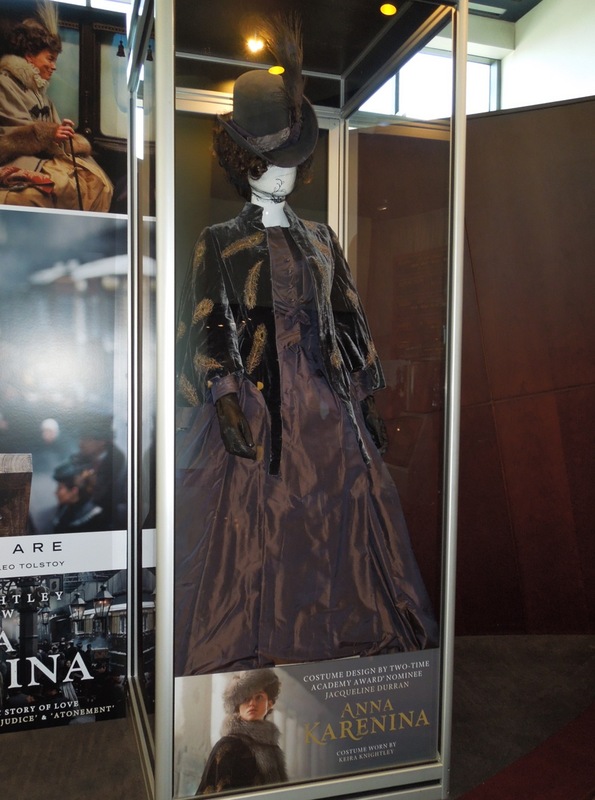 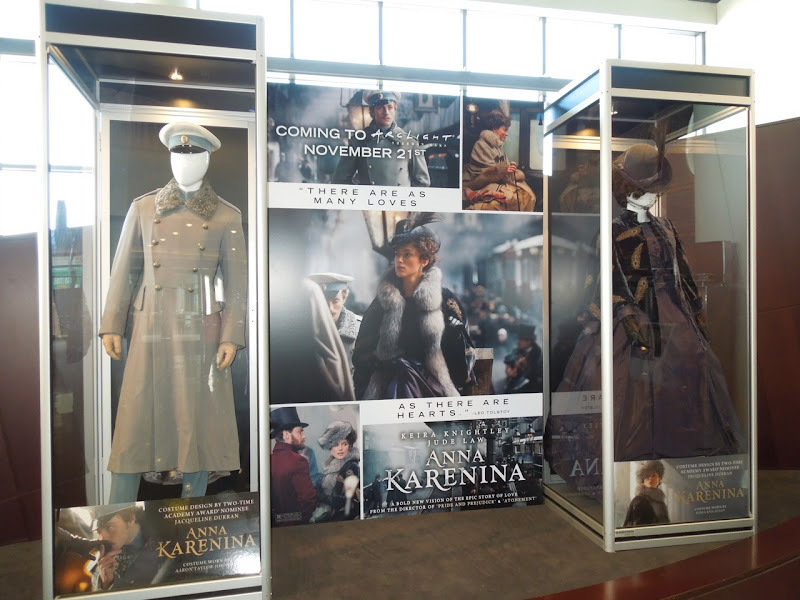 I've already had the pleasure of seeing some other original costumes from Joe Wright and Tom Stoppard's 2012 big screen adaptation of Tolstoy's literary classic Anna Karenina, so I was even more delighted to spy two more outfits from the movie on display at ArcLight Sherman Oaks cinema on November 25, 2012. 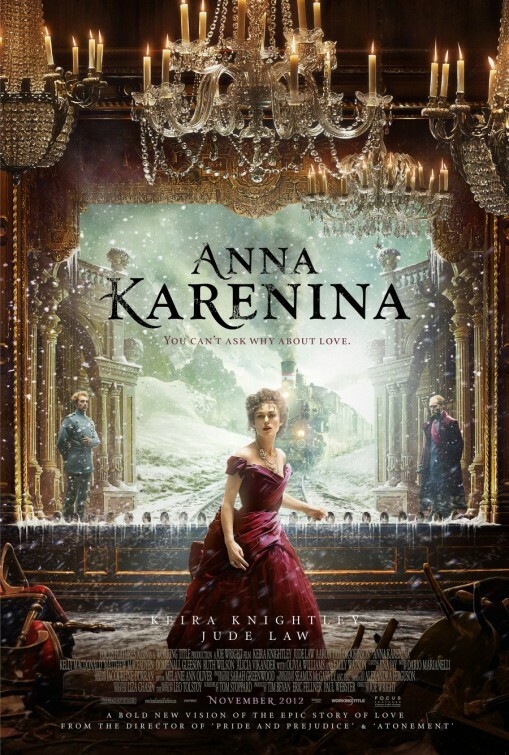 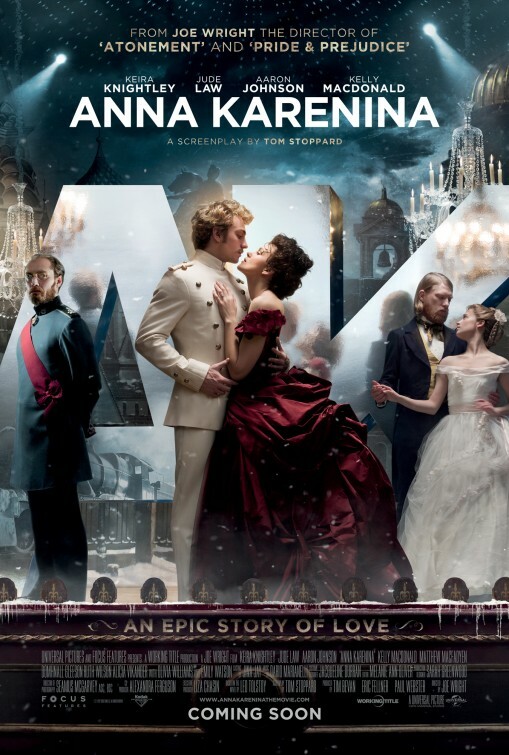 In this cinematic version Keira Knightley plays the titular 19th century Russian high-society aristocrat 'Anna Karenina' and Aaron Taylor-Johnson plays her charming lover 'Count Vronsky'. 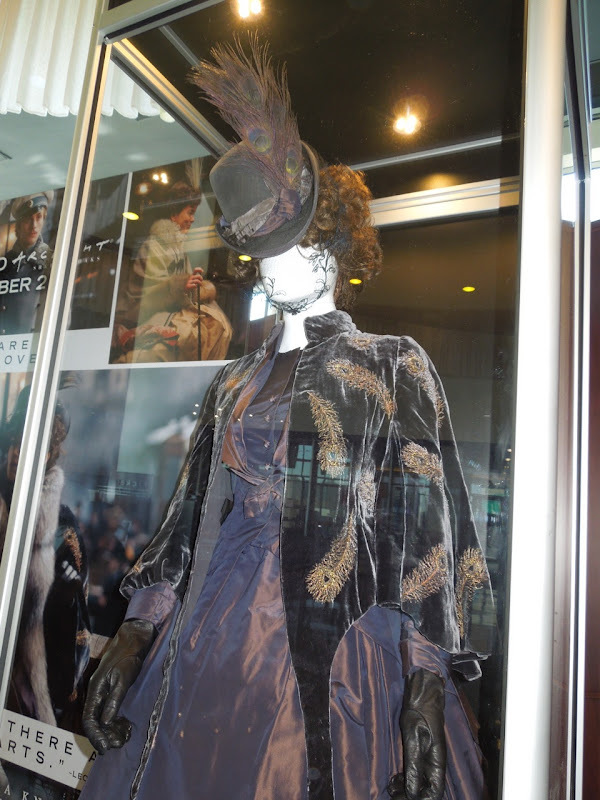 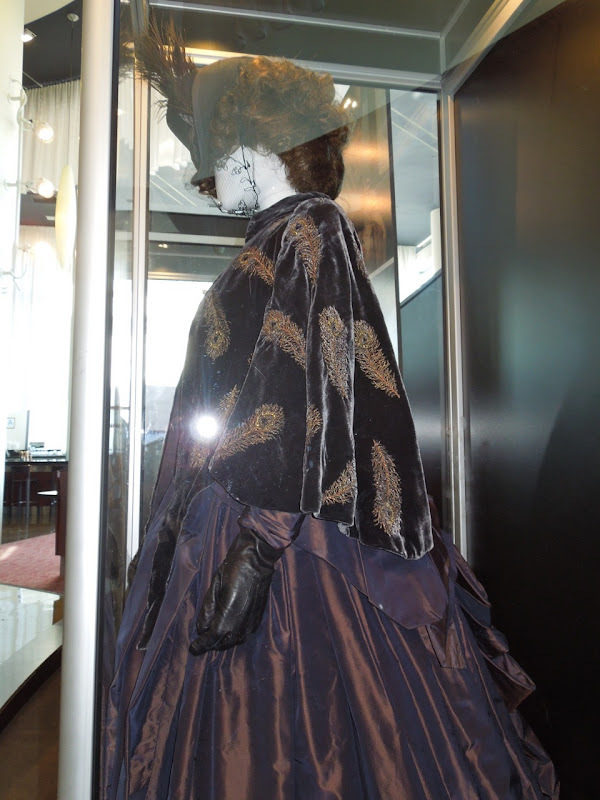 These fantastic period drama costumes were designed by Jacqueline Durran and you can also see her movie costumes from Tinker Tailor Soldier Spy here at Hollywood Movie Costumes and Props. 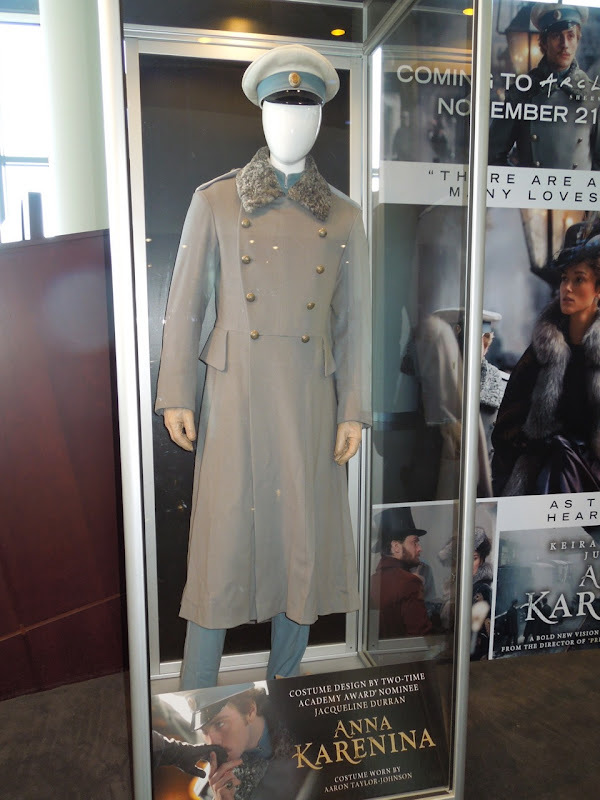 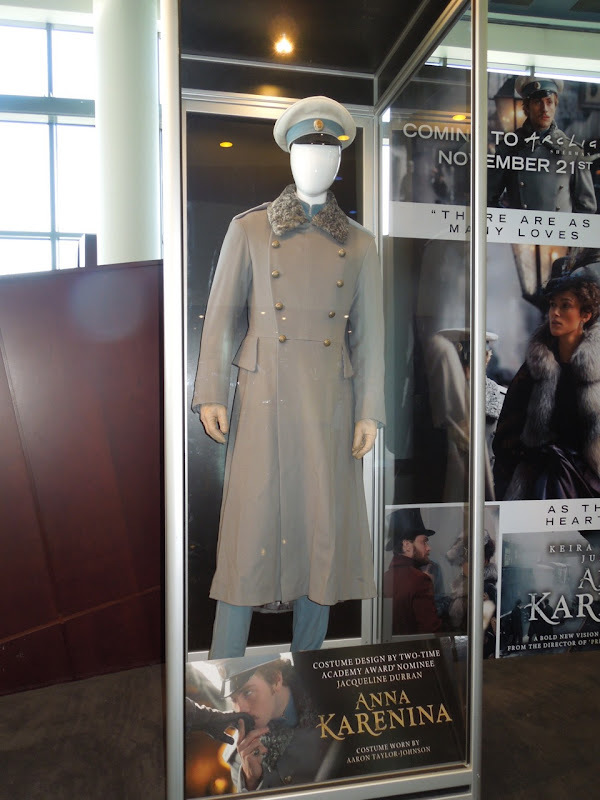 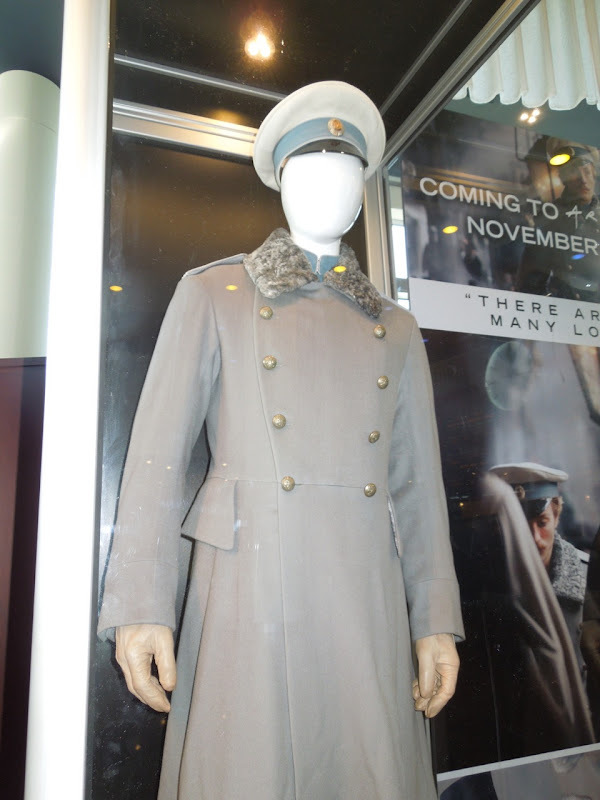 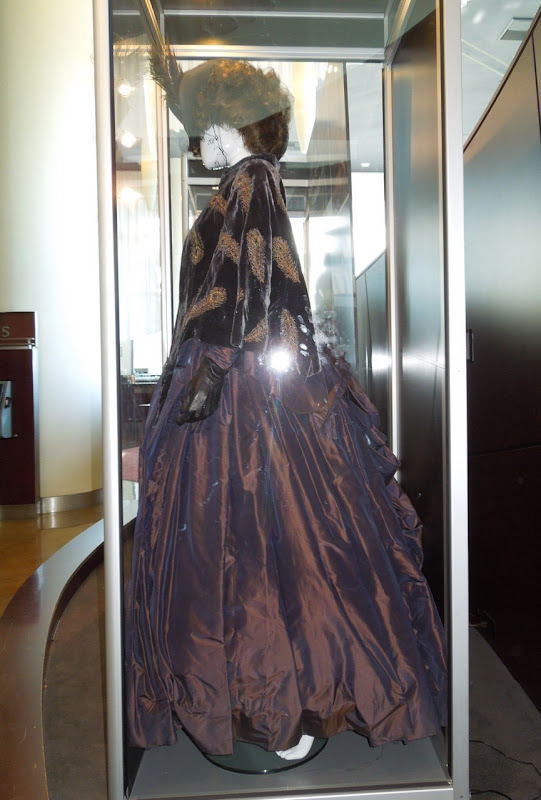 If you like this costume, be sure to also check out another Count Vronsky costume worn by Aaron Taylor-Johnson in Anna Karenina, plus an outfit worn by Jude Law as Anna Karenina's husband and another gown worn by Keira Knightley. 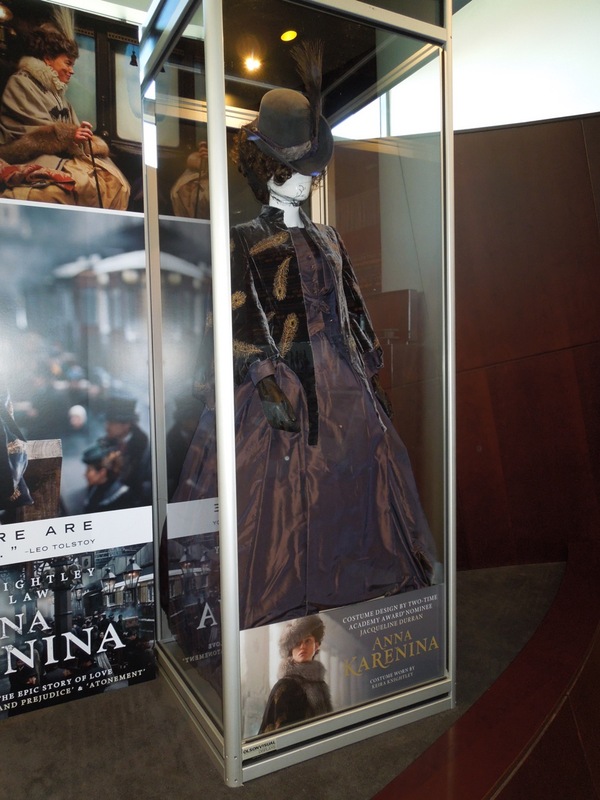 There's some Oscar buzz surrounding this latest incarnation of Anna Karenina and at the very least I can imagine the costumes being acknowledged by the Academy next year. 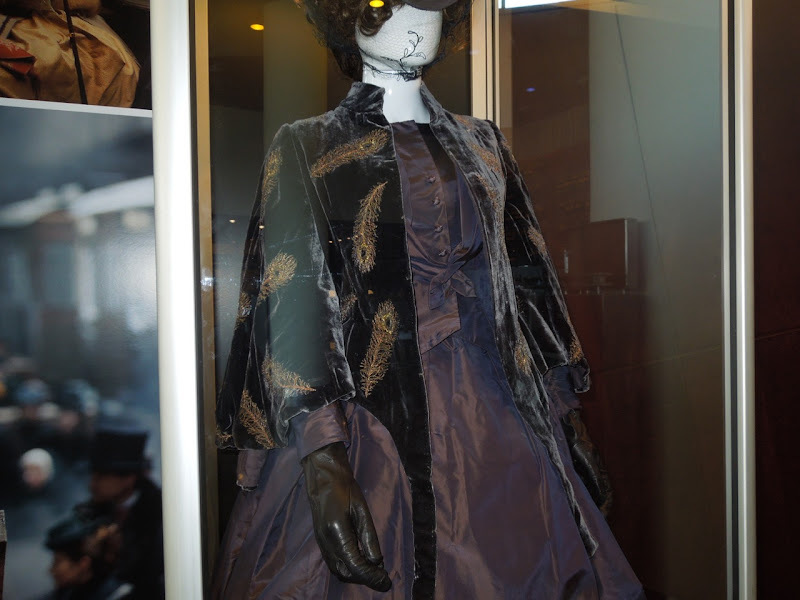 Once again I make no apologies for all the photos of these costumes as I know someone reading this will appreciate the detail and workmanship that has gone into creating these elaborate garments. 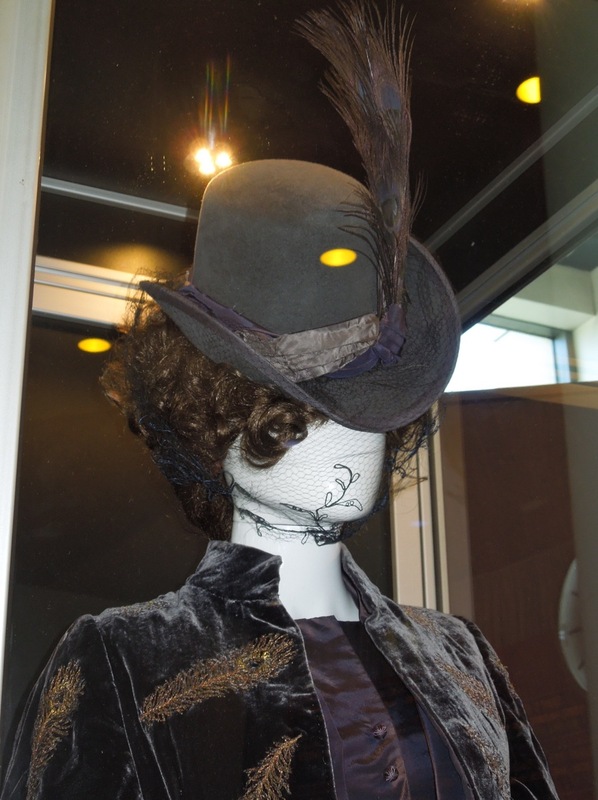 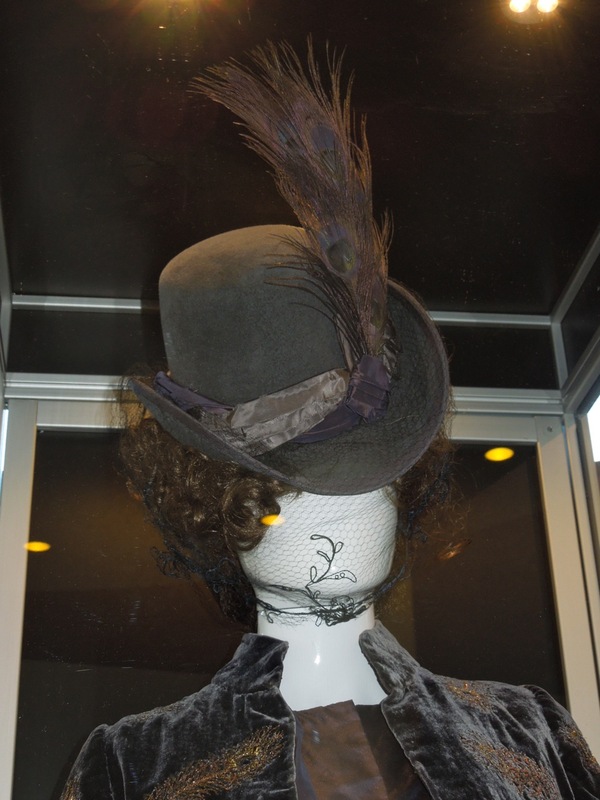 If you like this hat and you're a fan of millinery, be sure to also check out this collection of hats and headwear from The Walt Disney Archives.